UHF/GPS combination stubby antenna for the 403-450 MHz range. Stubby antennas are ideal when the radio is worn on the belt as they are short and unobtrusive. XPR 7000 and XPR 3000 series stubby antennas provide improved range and performance over XPR 6000 series stubby antennas. 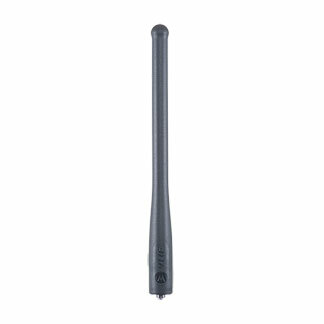 Note XPR 3000 radios do not have GPS capability, but still use these antennas.